A leading PCB assembly company in Coventry has just appointed a telemarketing agency in London that they found using the Marketing Quotes service. The calling campaign is expected to start in March to generate new PCB assembly enquiries for the contractor to boost new orders. 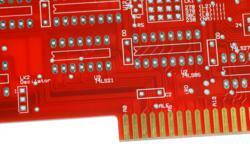 we have a lot of experience in the electronics sector and are confident we can generate lots of PCB enquiries. Telemarketing for engineering and electronics companies is much in need as the UK electronics industry has gradually moved overseas to low cost countries. For this reason many UK electronics businesses are looking for new ways to generate RFQ's. One PCB assembly contractor in Coventry approached Marketing Quotes in December to get help finding a telemarketing company to aid with generating new RFQ's for the estimating team. After looking at 4 different telemarketing agencies, they settled on working with a telemarketing company in London that has extensive experience in the electronics and PCB industry. The problem that many UK electronics subcontractors face is that the pool of work has gradually reduced as more businesses are using low cost manufacturing bases. About Marketing Quotes - Marketing Quotes is a free service to UK businesses to help them get free advice and quotes from local telemarketing companies that know their industry.